I read in a recent blog that if I don’t have anything to blog about I should at least write something. I’ll start with the weather. Brisbane didn’t have a winter – that’s how it felt anyway. The temperature might have dropped for a couple of weeks. 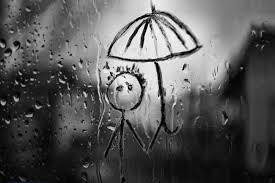 It’s cold today, though, relatively speaking … It’s raining too. This blog isn’t about meteorology, however, so enough of the weather. Next week I’m meeting a friend. She’s helping me with the dialogue in my second novel. She’s quite brilliant. It’s important to bounce ideas off fellow writers when you’re crafting a story. A fresh set of eyes helps. Join a writers’ group if you have time. I’m starting to think about my New Years resolutions – past, present and future. I don’t have a great strike rate, and I like setting the bar high! This year I wasn’t able to master inter-dimensional time travel or spot a Death Star using my friend’s 30 inch telescope. I think I might carry these over to next year. Speaking of next year – my son turns five in March. He’s off to ‘big school’. He performed admirably at his early childhood Christmas concert. All the kids did. Magical! I arrived home in time for the 7 o’clock news to see China, South Korea, Japan and the US rattling sabres over the air we breathe. Don’t our leaders have Christmas concerts of their own to attend? I think I prefer Marvel to DC Comics although the last Batman movie edged out The Avengers in my opinion. 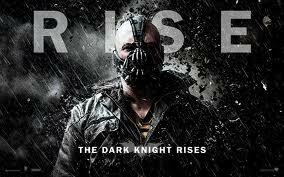 I’m going to write an in-depth review of The Dark Knight Rises one day. I need to explore exactly why I found it so profound. Perhaps it’s got something to do with Gary Oldman reciting one of my favourite lines from Charles Dickens’s A Tale of Two Cities near the end of the movie. This entry was posted in Thoughts, Writing and tagged A Wicked Kind Of Dark, Jonathan K Benton. Bookmark the permalink.